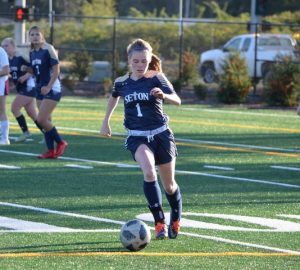 Cougars News · Nov 10 Fall Sports Season Wraps Up With Seton Athletes Shining! 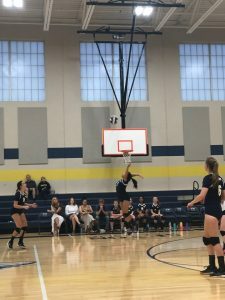 Fall sports have come to a conclusion for most of our Seton athletes but not without our athletes receiving recognition from the rest of the Tri Co League Coaches and Clark County with all league honors, athletes of the week, and League MVPs. Sean Ball was recognized as the District 4 League MVP for boys golf. 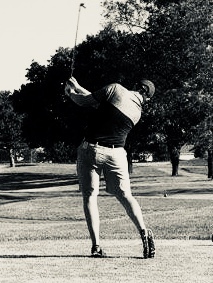 Ball won his second consecutive League title in boys golf this year and will be heading to the state tourney in May along with Nathan Lamberton who was selected to the District 4 2nd team. In addition to his league league MVP title Ball also has received a scholarship offer to play golf at Saint Martin’s University! Looks like Ball will be taking his talents to Lacey Washington to play for the Saints! Congrats Sean! Girls soccer also finished the year strong! The young cougar team battled for a hard fought season win vs Castle Rock in one of their last games of the season and placed 4 players on the Tri Co All League Team! 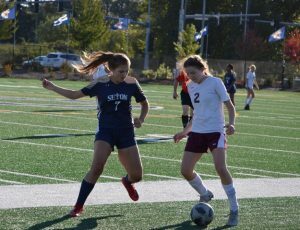 Sophomore Madi Manary was a unanimous 1st team all league selection as a defender. 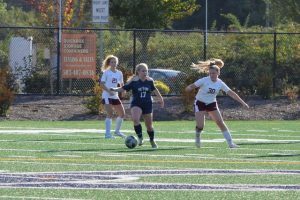 Senior Riley McDonough was a unanimous 1st team all league selection as a mid fielder! 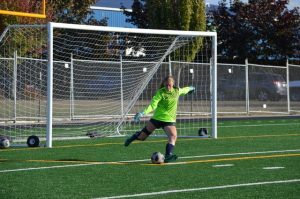 Katie Willis coming off a very tough knee injury from last year’s hoop season was selected as 2nd team all league goalie and Mikayla Wall was honorable mention as a mid fielder! In addition to placing 4 players on all league the girls soccer team were just tenths of a point from winning their 3rd academic state championship with a team GPA of over 3.82! 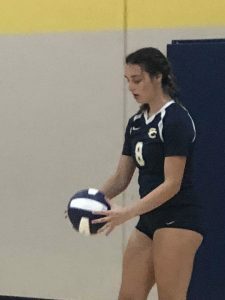 Volleyball pulled off a 5 set thriller victory over Stevenson near the end of the season and then placed 3 athletes on the all league team. Savana Smith, Rebecca Vu, and Anna Yrjanson all were selected as honorable mention all league players. In addition to receiving all league honors the Seton Catholic Girls Volleyball team won the Academic State Championship with a team overall GPA of 3.92! Congrats Girls we are proud of you! Football re-entered the Tri Co League for the first time in three years and served notice that this is not the Seton of old. Four years ago Seton football lost by an average of 35 points per game in the league and were considered a write in for a win on everyone’s schedule. This year the Cougs came into league play with just one loss and were just a few plays away from finishing in the top three in league. 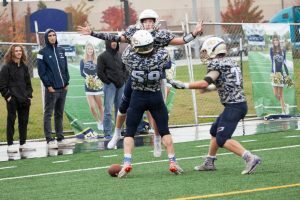 The Cougs finished the season in thrilling fashion as they took Castle Rock to the final horn only losing by one on a last second touchdown by the rockets. 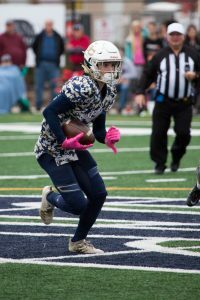 Seton Wideout Mikey Silveira scored 4 touchdowns that game and received the Columbian Newspapers Football Player of the Week Award! 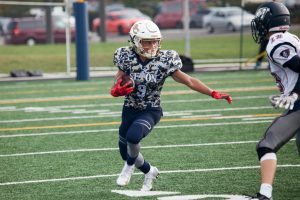 Silveira followed that up with 2 touchdowns in Seton’s final game of the season against rival King’s Way! Seton seniors in their final home game of the their careers, wearing their keepsake camo jerseys, came back from a 13-0 halftime deficit for a 26-19 victory! In addition Seton football placed a record number of players on the Tri Co All League Team! Mikey Silveira received 1st team honors as a wide receiver. Taj Muhammad was a 1st team kick returner and 2nd team all league receiver. Senior Bobby Voitik received 1st team honors as an offensive lineman. Freshman CJ Hamblin was 2nd team all league Defensive Back. Miles McGovern and Aidan Kirby both received 2nd team all league honors at the linebacker position! Receiving honorable mention honors were Joey Dearey, Tyvauntae Delonley, and Elijah Volk! Congrats on a great season! Thank you to all the senior athletes! It has been an honor watching you compete in a Seton Catholic Uniform!